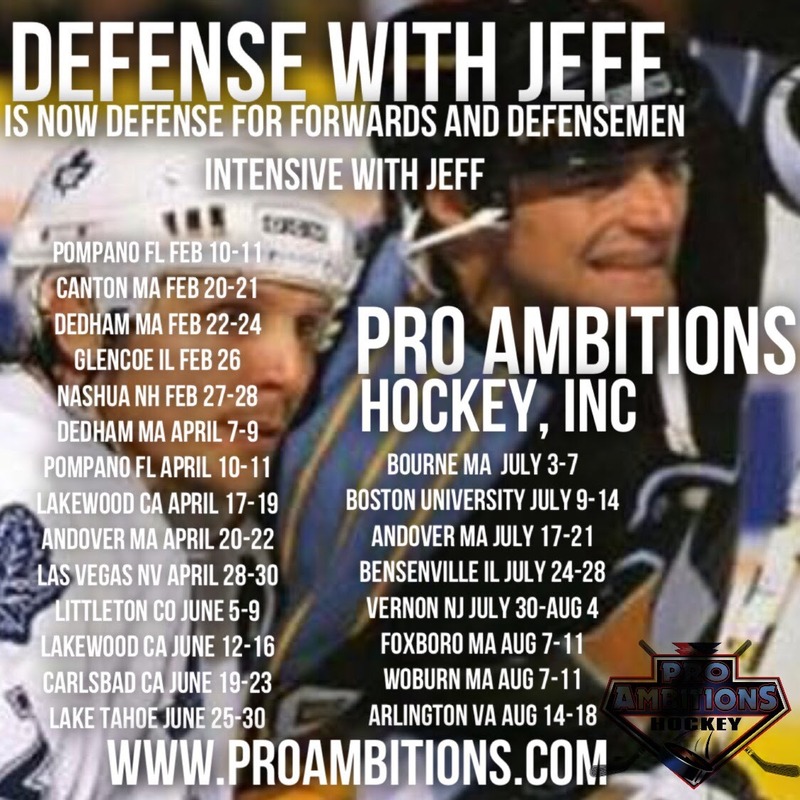 Creating Offense - Pro Ambitions Hockey, Inc. Creating offense can happen in many scenarios during the game for the D. Making a play happen will up your value on the team. After dropping the gloves in my first professional game, resultng in a broken nose and split lip gushing with blood, I quickly realized I had to add more to my game than pugilistics. I decided I didn’t want to fight 6ft 4 inch, 230lbs tough guys, some who could barely play the game, it was that moment that I knew I had to earn more ice time in other ways. My first pro coach told me that if you want to make money in this league you need to be a 2 way defenseman. I wanted to both earn money and earn a spot in the NHL. Reliable defensively and very good offensively was my plan. Now I had to execute it. I had all the tools needed to make this happen but needed to really work for proficiency at it in games. I needed the confidence to try things in games, which was a risk because if i got burned, it could result in a loss for the team. I could skate, shoot, move the puck and play a strong defensive game but how could I do this consistenly every shift? How could I create offense and not turn pucks over, get beat up the ice on a bad pinch, overhandle the puck, force bad passes and most importantly play on the power play at this level and make things happen. I knew my biggest weakness was my hands. Everytime I tried to beat guys one v one or overhandle the puck I would lose it, turn it over and then end up off the power play and move down the defensive depth chart on the team. Here are a few things I did which helped me win the Eddie Shore award as the Best Defensemen in the AHL, break the record for goals for a defenseman when playing for the Providence Bruins(a record which still stands today) with 28 goals in the AHL and ultimately end up on the first power play with Jaromir Jagr on the Penguins years later. A side not on that banner year I had with the Providence Bruins…that goes along with one of my favorite hockey mantras, ” Nothing ever goes as planned” I did not make the all star team. Unfortunately in hockey and life there are politics involved and that was not on the agenda of the powers to be. I will never forget scratching my head at that paramount disappoinment. I had the highest plus/minus and broke all records and was awarded the best defensemen award in the league. I was also playing in what I considered to be a hometown, seeing I went to Providence College and am from Boston playing for my hometeam organization the Bruins. I was devastated. But again, I am not alone in facing these setbacks and disappoinments that do build character and grit and resilience and build up your armour that will be necessary in carrying you through life. 1. Hit the net! I became the master of getting pucks to the net, whether it’s a wrist shot, snap shot or slap shot. (most of the time wrist shot) I would be angry with myself if I ever missed the net. I was told many a time not to take slap shots because the forwards couldn’t see it and had a hard time tipping it or getting a stick on it. I shot the puck 98 MPH so getting pucks to the net required a quicker release, moving my feet laterally with the puck at all times to change the angle the defenders were attacking me at and faking shots. Everytime I got the puck I fake a shot in order to fake out my opponent and give me an extra second of time. I also learned to put the puck 12 inches in the air every shot so it got through sticks, pads and goalies pads (who go into the butterfly position) and makes it very easy for forwards to tip. You have to keep your eyes up also when you have the puck. You need to see what is coming at you. I shot pucks every day in my basement as an adult pro. Never missed a day. 2. I started watching a ton of game film. I studied the best offensive defenseman in the game like Ray Bourque, Paul Coffey and Nikolas Lidstrom. I studied every thing they did and tried to predict what I would do with the puck in that situation that they were in. Became a serious student of the game. I spent hours doing this on my own. 3. I started working on my weaknesses big time! I spent 2 hours everyday stickhandling on and off the ice year round. I would be the last guy off the ice after practicing exhaustingly working on my stickhandling, passing and shooting. Don’t always work on your strengths or things your comfortable with, I started working on my weaknesses and the drills I had a hard time with. I looked forward to the hardest drills in practice, I hyper focused on mastering them. And I asked for help from my assistant coaches many many many days after practice. 4. Every practice I would pretend It was a very important game and I had to carry that intensity all the time every day. You practice like you play! I also got yelled at many times for trying things in practice but that was my time to master my new game. 5. SKATE, SKATE, SKATE! You have to be a very proficient skater backwards and forwards to become an offensive threat. Constantly moving your feet. I would be moving my feet before I got my puck so that when I received it I was near top speed. I basically was upping my entire game. Doing things faster, doing things more precisely and with a purpose. I did a lot of quick feet agility off the ice, back in the day I used the ladder. Now we have a lot more knowledge and trainers like Brian McDonough that study all of this and can help you execute a serious plan to make your feet quicker. Please hit the EPS Brian McDonough On and Off Ice Strength and Conditioning Camps on the website. There is a tab on the top navigation of the site. 6. I had a ferocious appetite for offense that I used to make a break out pass and almost beat my forwards up the ice. I was always in the rush as a 4th offender. My forwards knew I was always on their back and wanting that puck. I was a shooter and that was my biggest strength, so I shot the puck. I would average over 400 shots per season which is over 5 shots per game. I would hit the net 90% of the time. Goals and assists started mounting. The game was becoming so fun now that I was a difference maker in the outcome of the score not just defensively but offensively. 7. I had to really learn the game much better than I knew it already. When to jump into the open seems in the offensive end from the blueline, when to beat guys 1v1, when to move the puck, when to shoot and pass. It took me a while to figure all this out as my defense definitely suffered at times because I was always on the attack. It wasn’t till I got to Penguins and Coaches Constantine, Jackson and Eaves really brought my game together. That is the most I learned about the position in all my years college and pro. They had faith in me and spent time working on my game. Great teachers and great guys!!!! 8. Communicating! I was so vocal on the ice. If you want the puck you need to call for it. 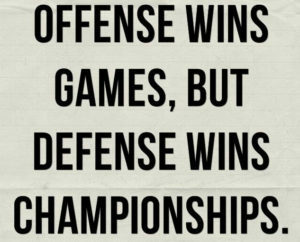 I know some people disagree with this and say the opponent hears you and will cover you if you yell but I didn’t care. It worked for me. If your teammates hear from you constantly they are going to give you the puck. If you dont know what a mule is? You will find out this summer at my D camps.